SKU: Euro ML260-550x350x1450mm. Category: Shower Screens. 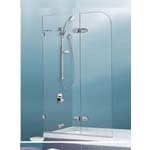 Come with corner glass shelf to stabilize the shower screen panel, which is not only prevent the leaking, but also convenient to put shampoo,etc. 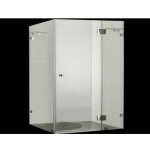 Hand shower set (3 Star Wells), bath tub mixer and bath tub are not included (Sold separately). 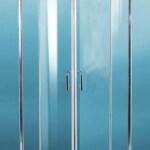 We also have baths tub, free standing bath tub, spas, bath tub mixers, spouts and bath taps for sale at the moment.